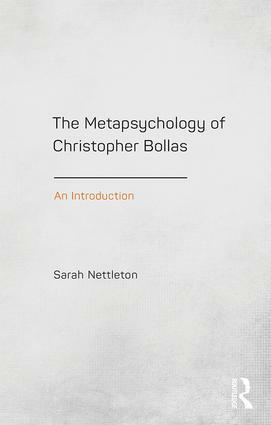 The Metapsychology of Christopher Bollas: An Introduction explores Bollas’s extraordinarily wide contribution to contemporary psychoanalysis. The book aims to introduce and explain the fundamentals of Bollas’s theory of the mind in a systematic way, addressing many of the questions that commonly arise when people approach his work. Through chapters on topics such as the receptive subject, the creative unconscious and the implications of Bollas’s metapsychology for the technique of free association, the book enables the reader to acquire an understanding of his unique psychoanalytic language, to grasp the conceptual building blocks of his thinking and how these interrelate, and to appreciate the theoretical and clinical coherence of his thinking. The Metapsychology of Christopher Bollas: An Introduction will be of use to psychoanalysts, psychotherapists and counsellors, as well as psychiatrists, psychologists and social workers wishing to explore the applications of psychoanalytic thinking to their practice. It will be of great value to trainees in these disciplines, as well as to postgraduate students and academics interested in contemporary psychoanalysis.